When you buy it from the right manufacturer, affordably priced ammunition is nearly indistinguishable from the premium stuff. 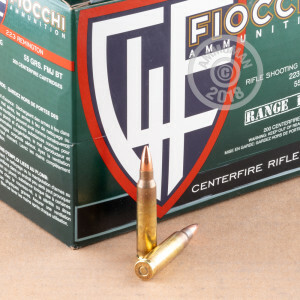 That’s soundly the case with this 223 Rem cartridge from Fiocchi’s Shooting Dynamics line of ammunition -- a hard-working round that’ll satisfy all of your AR-15’s needs, but without putting the boots to your wallet. This cartridge is capped with a 55 grain projectile, the standard for its caliber. It’s a boat tail bullet, so it boasts a stellar ballistic coefficient which flattens its trajectory out nicely and lets it shrug off wind drift. The bullet’s full metal jacket assures that it’ll feed just as smoothly through your magazine as its manufacturer intended. The round’s brass casing is also fresh out of the factory, so you can reload it to your heart’s content. 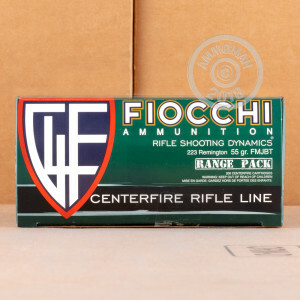 These 200 rounds come all together in one convenient range pack, so you won’t have to juggle multiple boxes if you’d like to spend more than one minute at the range.